With the average price of a new car in the U.S. now well over $30,000, it’s worth noting there are new cars costing considerably less. 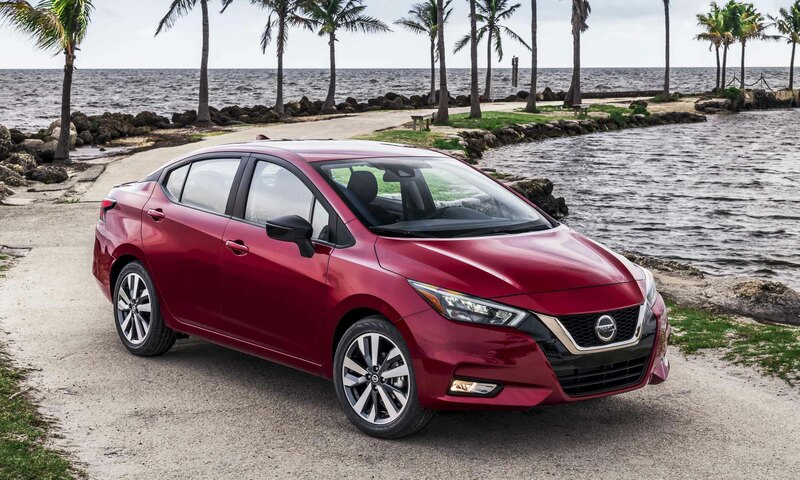 The Nissan Versa has been the lowest-priced new car in America for several years running, and now buyers who prefer to refrain from spending a fortune on a fresh ride will get to experience the all-new 2020 Nissan Versa. 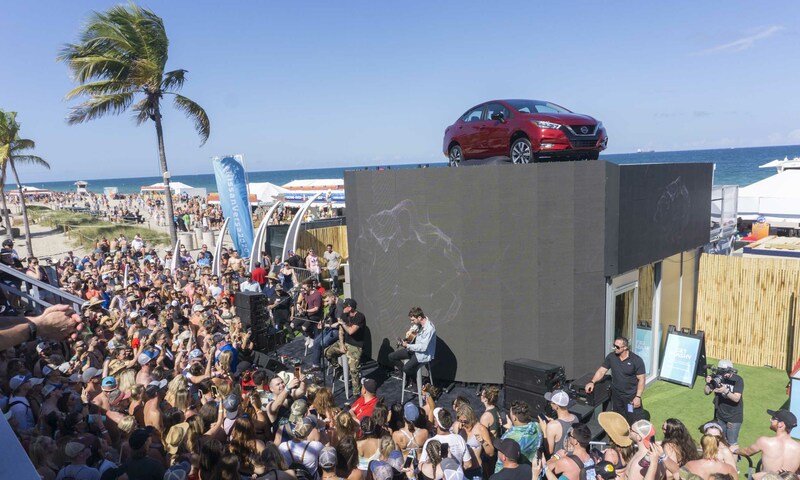 With the idea of introducing this completely redesigned third-generation Versa to a younger crowd, Nissan debuted the new model at Rock the Ocean’s Tortuga Music Festival in Fort Lauderdale, Florida. The wraps came off during a special pop-up concert by country music star Kane Brown. 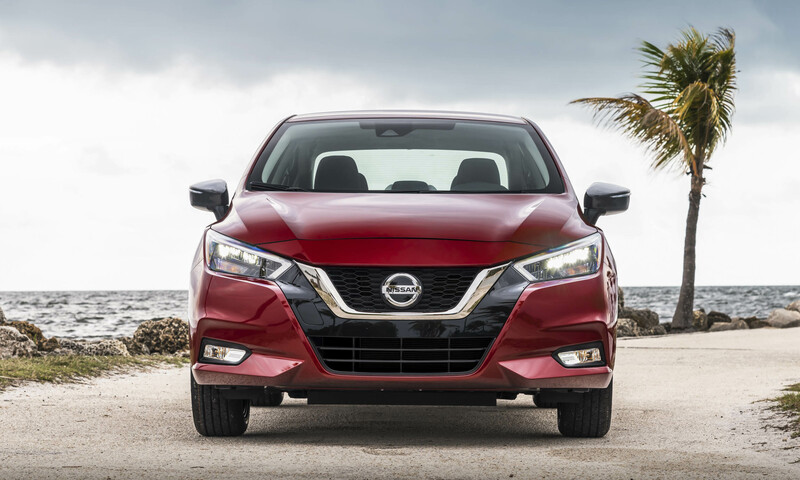 “First impressions are exceptionally important, which is why we are thrilled to introduce the all-new 2020 Versa directly to our customers in such a memorable way,” said Claudia Marquez, vice president of sales operations at Nissan North America. “The Versa is our first impression into the Nissan family. 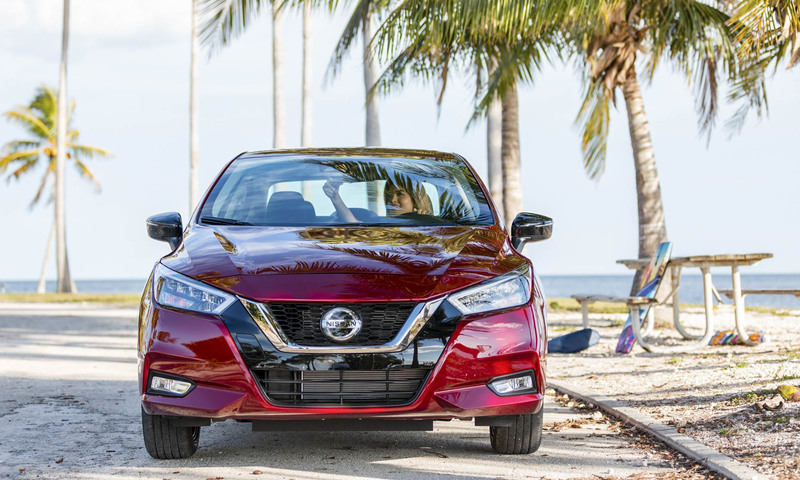 I believe that when customers see this beautiful new car and all the amazing technology that comes with it for the price, they will be part of the Nissan family for life,” Marquez concluded. 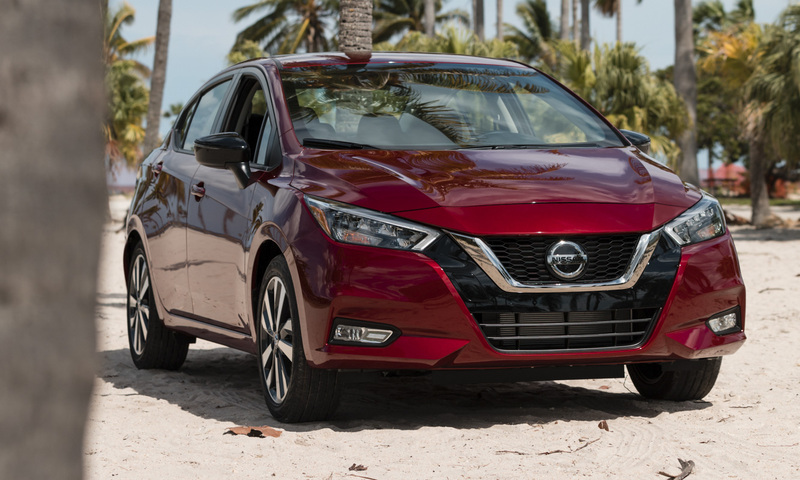 The new Versa is instantly recognizable as a Nissan, albeit with all-new styling that carries the same cues as the rest of the Nissan sedan lineup, including the new Altima that debuted last year. Most noticeable are the V-Motion grille, boomerang-shaped headlights and taillights, as well as the signature floating roof — all of which were adapted for the 2020 Versa. The new model is wider and lower than the previous generation, giving the sedan a bolder stance. “This third-generation Versa design is all about the proportion and stance, to the point where we expect people to look at it and say, ‘Wow, is that a Versa?’” said Giovanny Arroba, program design director at the Nissan Global Design Center. “The wheels are pushed out, there’s an imposing grille presence, everything about it says lower, wider, longer”, Arroba noted. 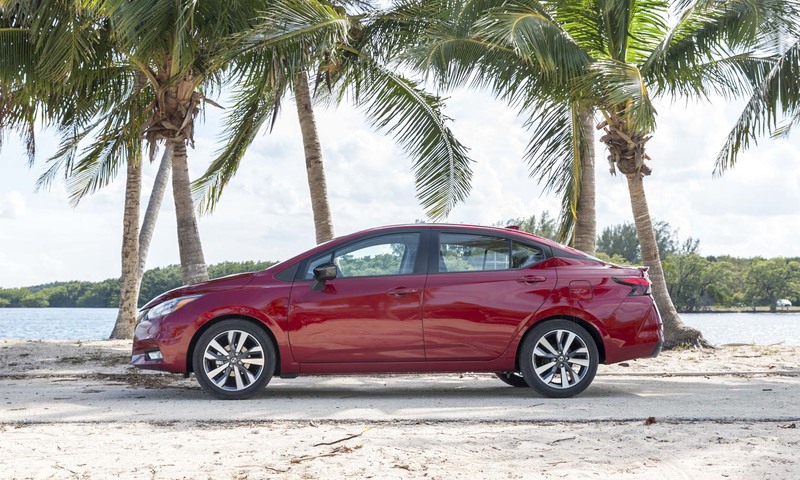 Similar to the styling cues on the new Versa’s exterior, inside are some familiar design elements found in the higher-level Altima and Maxima sedans. The clean dashboard’s horizontal architecture gives Versa occupants the impression of a wider space inside. 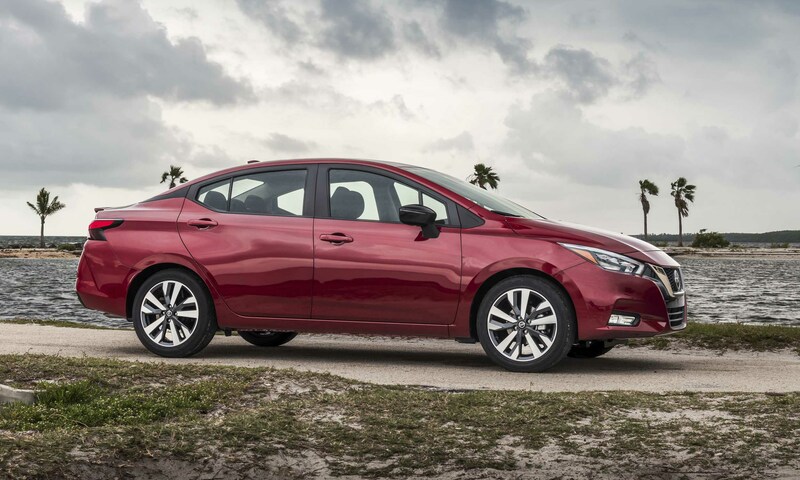 Nissan’s use of premium materials provides Versa with an upscale vibe not typically found in entry-level sedans. “As other nameplates exit the field, we see a real opportunity to build our segment-leading market share and nurture this crucial group of new-car buyers. 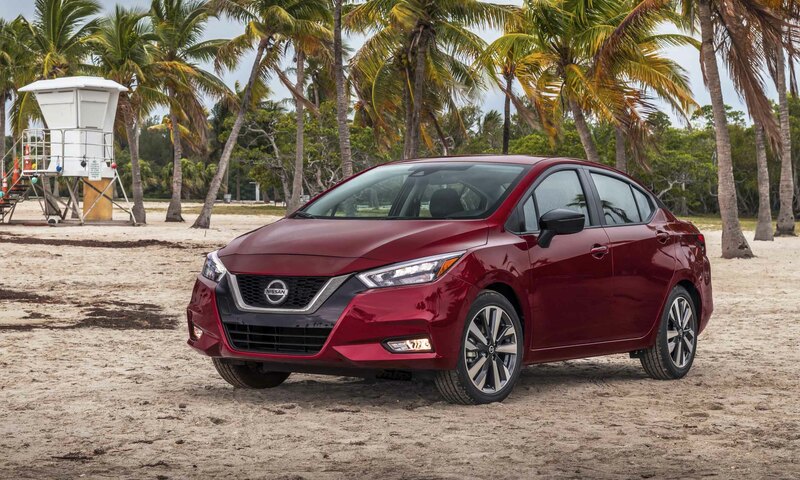 More importantly, the new dramatic Nissan Versa design and jam-packed list of features will ensure that customers feel confident they made no compromises in that first purchase,” added Marquez. 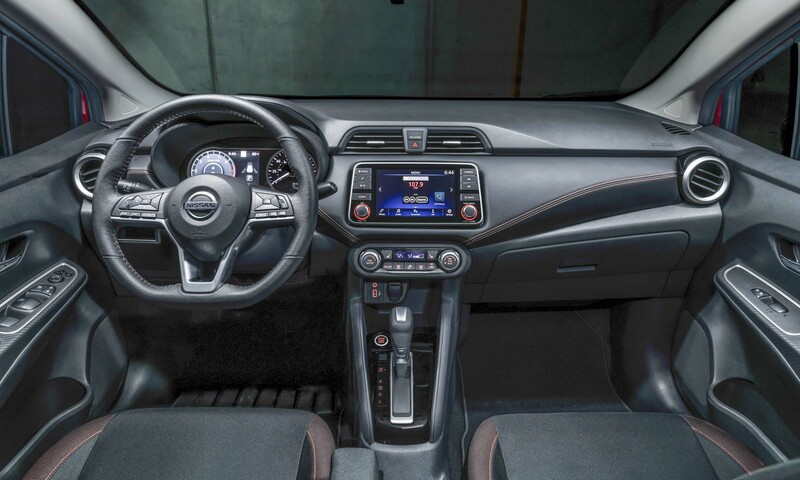 The 2020 Nissan Versa will be well equipped for a vehicle of this class, with standard features that include remote keyless entry, a pushbutton start and power windows. 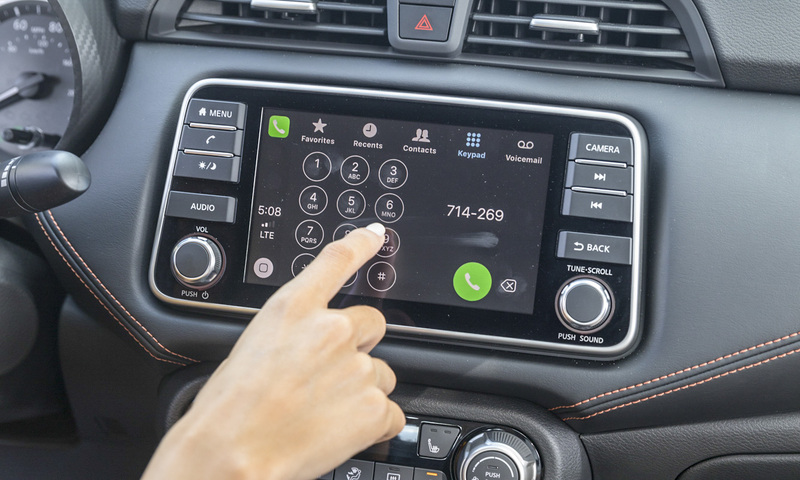 The Versa can also be equipped with an array of optional extras that include automatic climate control, heated seats and Apple CarPlay / Android Auto smartphone integration. Nissan is equipping the 2020 Versa with the latest high-tech safety features that are part of the Nissan Safety Shield 360. Standard equipment includes automatic emergency braking with pedestrian detection, rear automatic braking, lane departure warning and high-beam assist. Also available are blind-spot warning, rear cross-traffic alert, intelligent driver alertness (a system to detect driver fatigue) and adaptive cruise control. Powering the new Versa is a next-generation 1.6-liter 4-cylinder engine that produces a healthy 122 horsepower and 114 lb-ft of torque — a nice boost from the current generation, which gets by with 109 horses. The engine can be teamed with either a 5-speed manual gearbox or Xtronic continuously-variable transmission. Fuel economy numbers have not been released, but expect ratings at least on a par with the current model’s ratings in the mid to high 30 mpg range. 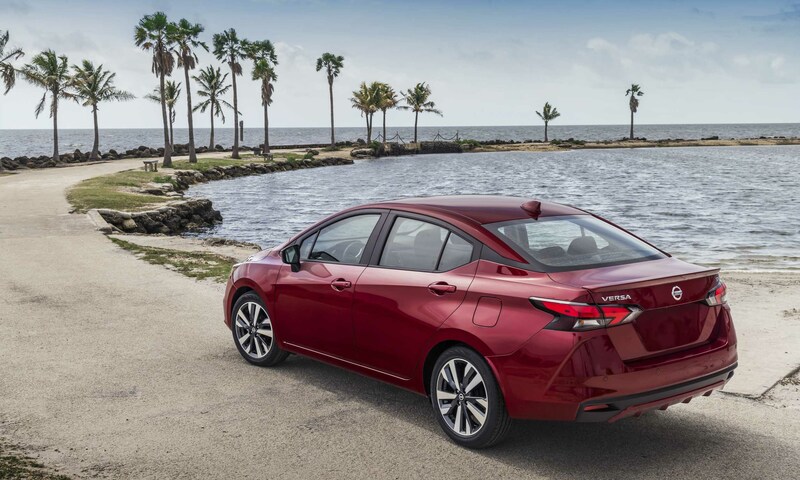 The new Versa is certain to capture attention thanks to eight new exciting colors including Electric Blue Metallic, Monarch Orange Metallic and Scarlet Ember Tintcoat. Pricing has not been released, but shoppers can anticipate this new Versa will retain its crown as the lowest-priced new car in America. Look for the 2020 Versa to begin arriving in showrooms this summer.